Evotion Intercoolers are designed with the pure performance enthusiast in mind. 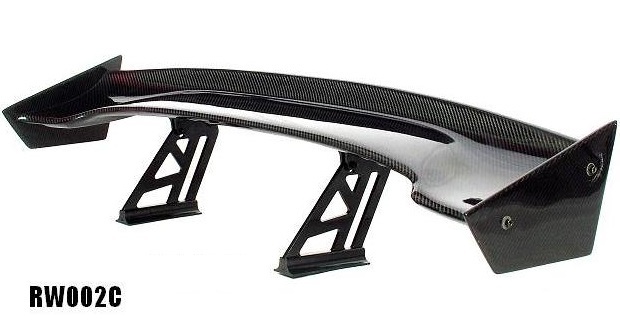 Adding an Evotion Intercooler to your turbocharged engine is one of the best ways to increase horsepower. This highly efficient Bar and Plate design quickly cools the intake airflow, which creates cold dense air moving through the turbo piping - meaning in return - more power. Evotion Intercoolers are great if you plan on increasing boost levels, due to the fact that they are constantly drawing away heat, while giving you maximum cooling and flow without noticeable pressure drops. 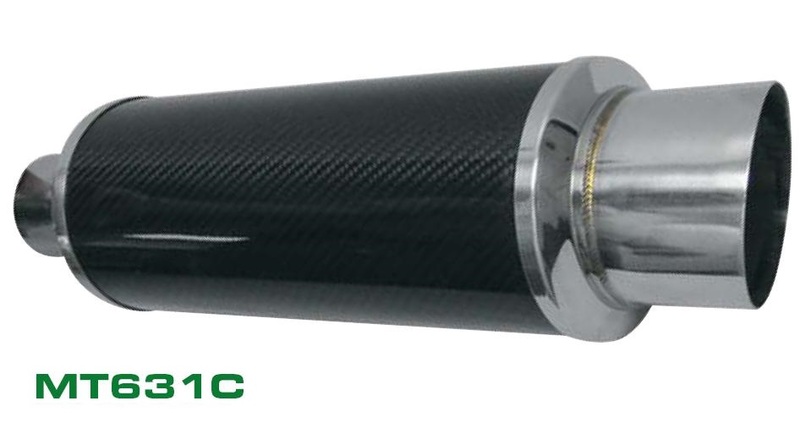 The filter combines a conical design with a heat shield improving performance with higher HP and more significantly better bottom end torque. 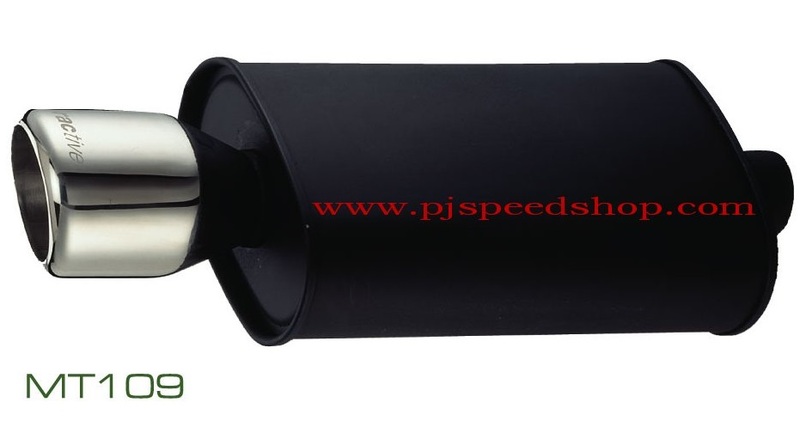 The filter will fit on any 3 Inches diameter pipe (3 Inches 76 mm Neck). Extremely light weight & rugged polyurethane construction - 39% weight savings over traditional high performance filters. Epoxy coated galvanized steel mesh is extremely rugged and will not deform even under turbo & supercharged applications. Built in velocity stack. No adhesive wicking onto filter media. Competitor's adhesive wicking onto filter media effectively reduces filter breathing area. 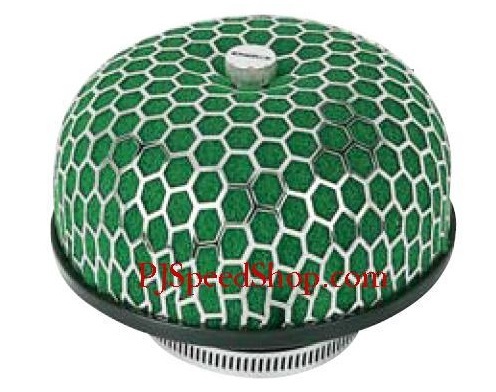 The filter combines a cotton fiber element with stainless steel mesh structure in a conical design, improving performance by increasing bottom torque and overall horsepower. The filter will fit any 3 Inches diameter pipe. The filter will fit any 4 Inches diameter pipe. This filter features a twisted conical design for increasing air flow and horsepower. The SF200 is comprised of a cotton fiber element in a stainless steel mesh structure. 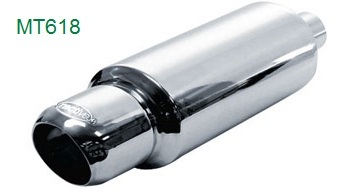 The muffler has a single inlet and single outlet. It is comprised of T-304 stainless steel inside and out. It is seamless, has a straight through design and features the Ractive signature polished mirror finish. Stabilized output from the alternator extends battery life. Extends life and increases brightness of headlight bulbs. Maximized ignition voltage increases fuel economy. Torque and throttle response are improved. 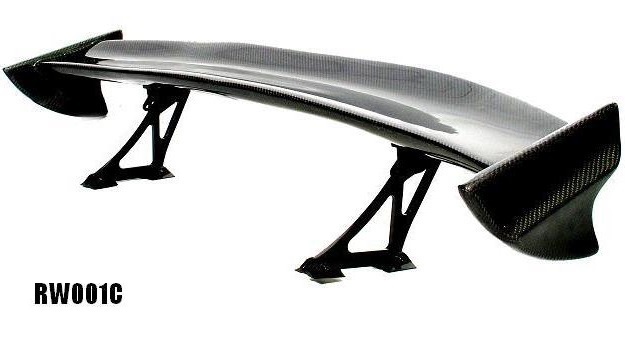 These universal carbon fiber spoilers are made of pure carbon fiber. They are light in weight to increase performance. They are UV coated for protection and glossy appearance. 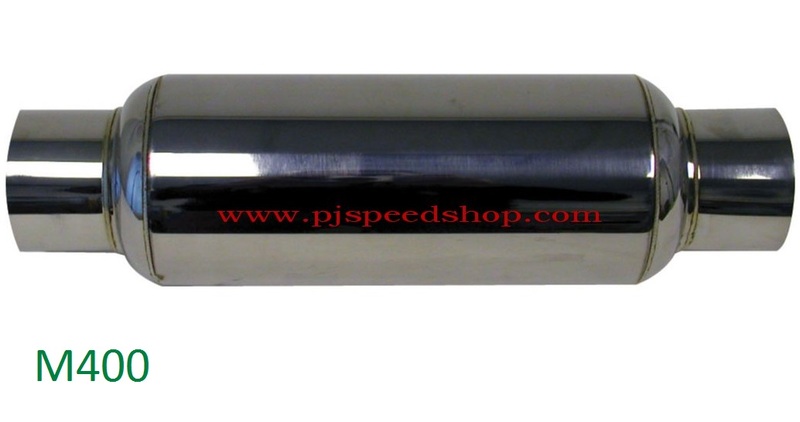 Size - 57" x 8.5" x 8.5"
These universal carbon fiber spoilers are made of pure carbon fiber. They are light in weight to increase performance. They are UV coated for protection and glossy appearance. Size - 53" x 9.0" x 8.5"
WHY USE A TURBO TIMER? 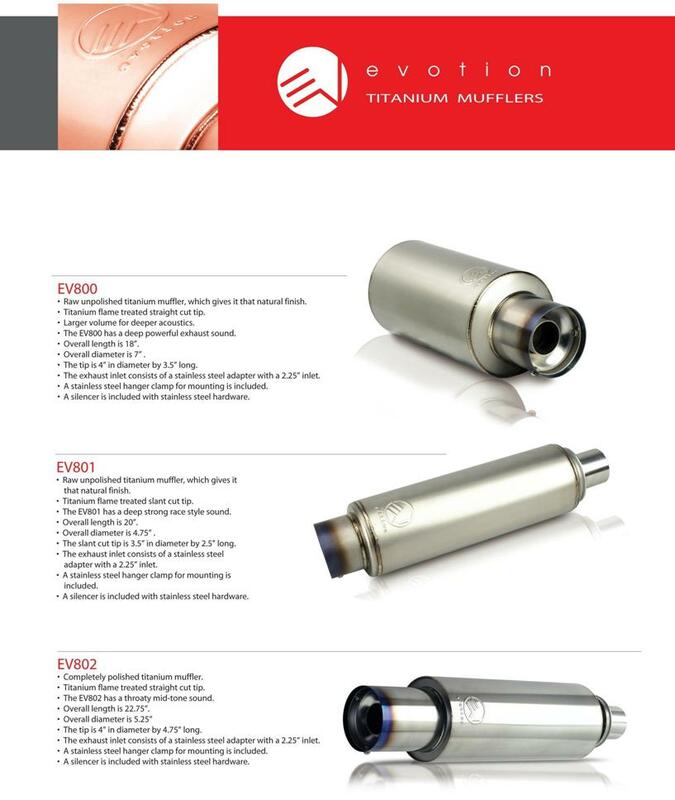 WHY USE AN EVOTION TURBO TIMER? The Evotion Electronic Turbo Timer ensures proper engine cool-down to protect vital turbo internals. 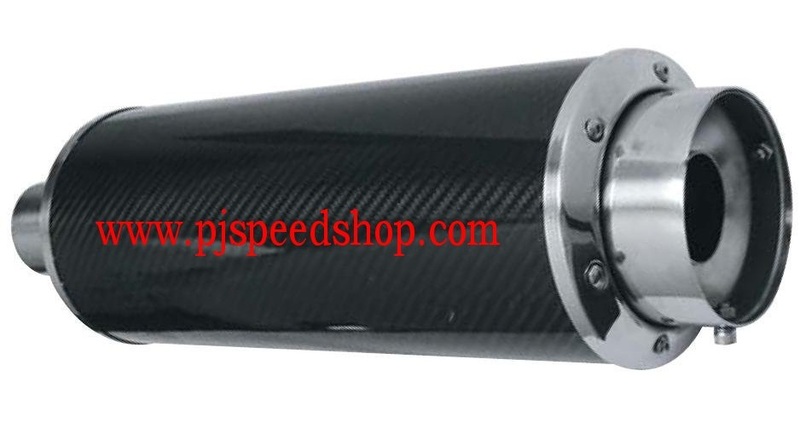 It can also be used on naturally aspirated applications to help cool down the motor.